Parliament.tvBHS Dominic Chappell, speaking to MPs earlier this month. 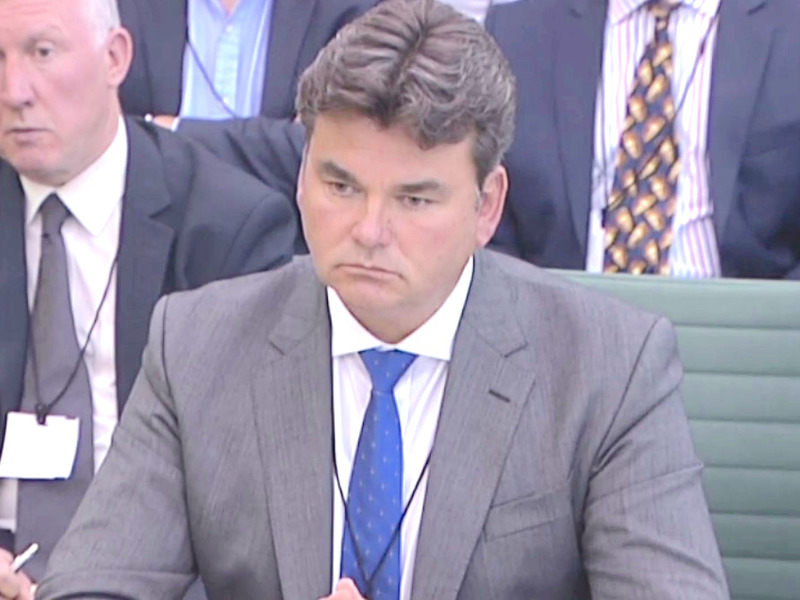 tried to pay for holiday flights using company money just a few months before the struggling department store collapsed, according to evidence submitted to MPs by former BHS chief executive Darren Topp. The letter adds that Chappell’s Retail Acquisitions Limited (RAL) vehicle — which he bought BHS through for £1 from Sir Philip Green — had taken £17 million ($25 million) out of the BHS business, which contributed to its eventual collapse into administration earlier this month. Chappell has denied the allegation, according to the Telegraph, calling it “the most pathetic thing I’ve ever come across” and “complete rubbish” in separate evidence. The saga of BHS has seen Chappell accused of receiving millions of pounds in payments before the department store collapsed. Former owner Philip Green, in his own MP hearing, further claimed that Chappell took £7 million from a property deal that should have gone to BHS.